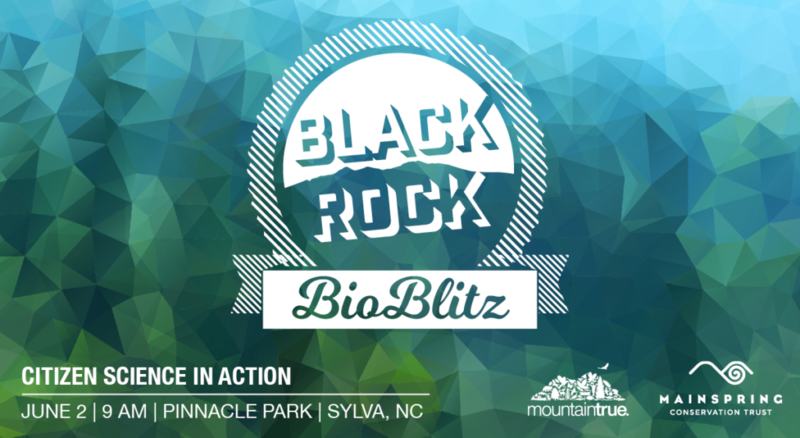 Sylva, NC – On June 2, MountainTrue and Mainspring Conservation Trust will sponsor the Blackrock BioBlitz, a citizen-science program that will pair residents with more than a dozen expert naturalists to document the diverse natural communities of Sylva’s Pinnacle Park and its highest point, Blackrock Mountain. 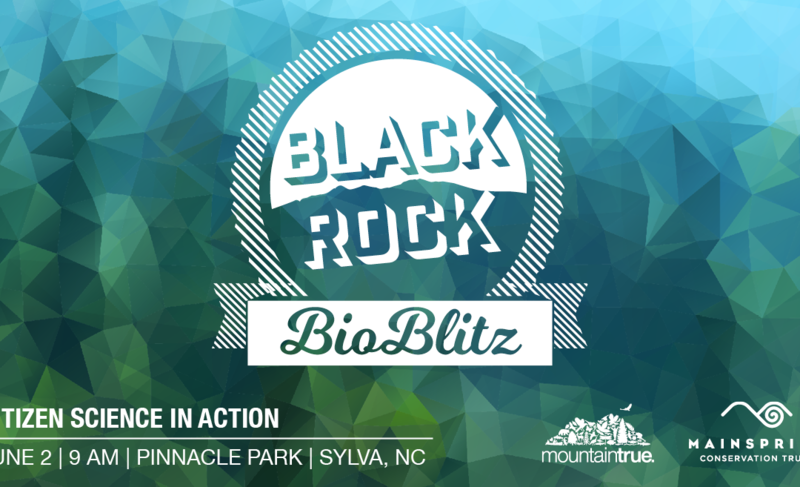 What: Blackrock BioBlitz, sponsored by MountainTrue and Mainspring Conservation Trust. We will lead groups for all fitness levels, from relaxed hikes through the areas closest to the the base of the park to vigorous ascents of Blackrock. Participants are encouraged to bring at least two quarts of water, rain gear, sturdy footwear and their own lunches. MountainTrue is the oldest grassroots environmental non-profit in North Carolina and champions resilient forests, clean waters and healthy communities. We engage in policy advocacy at all levels of government, local project advocacy, and on-the-ground environmental restoration projects across 23 counties in our region. Located in the heart of the Southern Blue Ridge, the mission of Mainspring Conservation Trust (formerly the Land Trust for the Little Tennessee) is to conserve the waters, forests, farms and heritage of the Upper Little Tennessee and Hiwassee River Valleys. We are dedicated to three core initiatives: conserve the land, restore the water, and connect the people to these valuable resources. 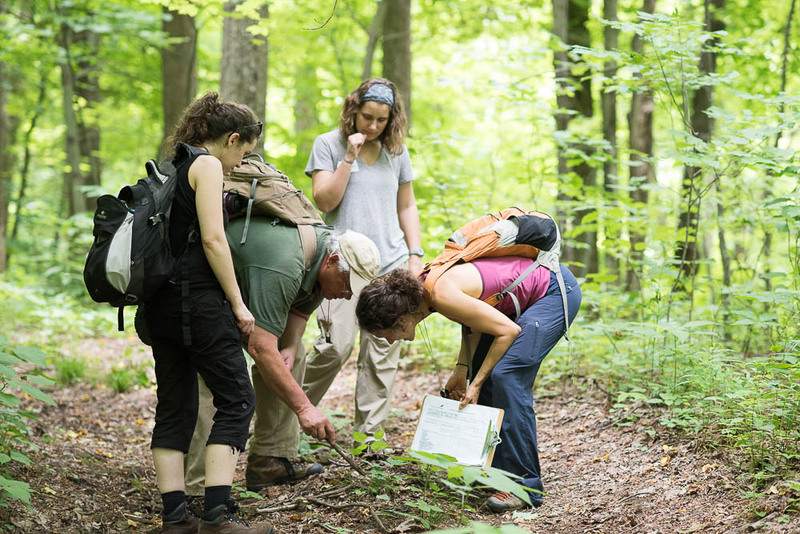 Participants of MountainTrue’s 2016 BioBlitz of Bluff Mountain in Hot Springs on the lookout for rare plant and animal species.